Wash the chicken and cavity with cool water and pat dry. Set on a rack on top of a roasting pan. Drizzle the chicken with olive oil all over and then season with garlic powder, paprika, salt and pepper — don’t forget to season in the cavity too. Cut the lime into four wedges and stuff into the cavity – peel and all. Stick the sprigs of rosemary, thyme and sage in the cavity as well. 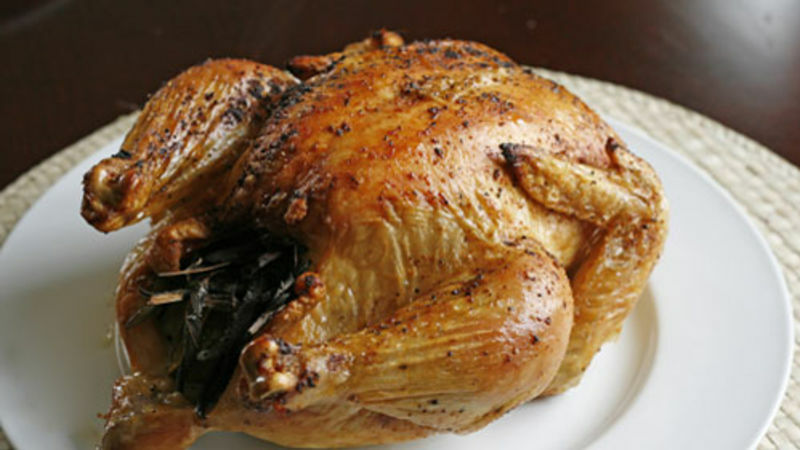 Slide the chicken into the oven and bake for 20 minutes. Reduce the heat to 375°F and roast for 45-55 minutes, until juices run clear.